Have you tried Ice Wine? Do you know one of the many great things that come out of the below freezing temperatures and fresh coats of snow that fall in mid-January? 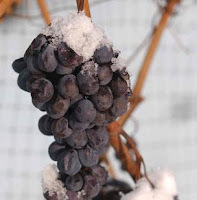 Ice Wine is a type of dessert wine produced from grapes that have been frozen while still on the vine. When the frozen grapes are pressed, the smaller, more concentrated grapes make a very sweet wine. The wine is known for its extravagant sweetness and intensity. Its magical balance of acidity and sweetness gives it a texture that is surprisingly elegant and sets it apart from other dessert wines. Ice Wine production is risky and results in relatively small amounts of Ice Wine being produced world-wide. You can find Ice Wine at vineyards along the Niagara Wine Trail, which is located just a short drive from the Red Coach Inn. The Niagara Wine Trail is the fastest growing wine trail in the country and currently hosts 16 wineries. Have you tried Ice Wine before? I know I am looking forward to having a glass! Come and meet the Aquarium of Niagara's penguin mascot, "Beaker", who will be greeting guests from 10am-2pm March 23 and 24, in the "Who Do You Sea" area. In addition to this experience, come participate in the NEW penguin drawing contest and take a shot at winning a wonderful penguin prize! While visiting the Aquarium enjoy the other wonderful exhibits, including sharks, seahorses, poison dart frogs, "Twister" the octopus, and Mike Fisher;s enormous shell collection. Aquarium members are FREE and penguin encounters are included in the regular admission rates. 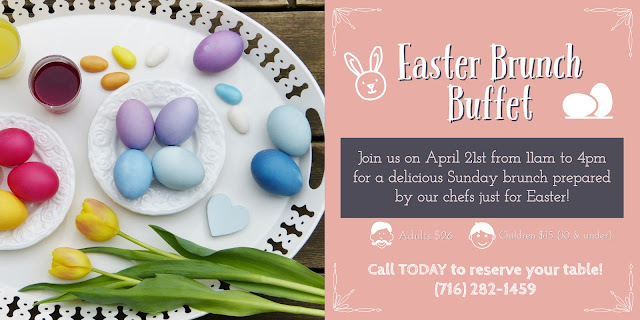 Non-members; adults $10, seniors, $8; $6 for children and FREE for those age 2 and under.